This detailed biography gives a portrait of the life of Daniel Alexander Payne, a free person of color in nineteenth century Charleston, South Carolina. This work highlights his life as educator, pastor, abolitionist, poet, historiographer, hymn writer, ecumenist, and bishop of the African Methodist Episcopal Church. 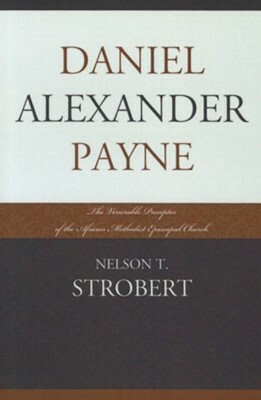 Payne was a strong voice for the freedom of his enslaved brothers and sisters of color as well as a vociferous supporter of general and theological education. Upon his election as president of Wilberforce University in Ohio in 1863, Payne became the first African American to lead an institution of higher education in the United States. In addition to exploring his work within the United States, this biography highlights and includes sources from Payne s travels, work, and reception in nineteenth century Europe. I'm the author/artist and I want to review Daniel Alexander Payne: The Venerable Preceptor of the African Methodist Episcopal Church.